EZxxAV is powerful video based 3-axis, computer control, motorized measuring system. 3M digital camera captures rich color and sharp image and it improves the sub-pixel accuracy and throughput. Other features include programmable lighting and software to support multiple programmable steps and maintain the magnification and calibrations. The software has auto edge detection with sub-pixel resolution. 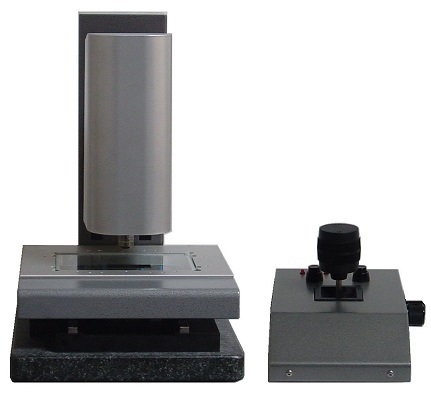 It provides full CMM measuring capability. The stage and video mapping capabilities greatly improve the system measurement accuracy. Software works with 32 bit / 64 bit Windows 7 to provide an easy user interface. 12X detent, 12X motorized zoom.